We offer HD Video Conferencing that connect your entire Organisation. Video conferencing systems give your business with faster decision making ,stronger working partner ships and productivity. Conferencing systems bring people together in their industries without having to travel. This means meetings can be set up between two or more locations saving both time and money. being heard and understood is the most critical component of any business meeting. Therefore, only the state-of-the-art conferencing systems will meet the needs of today’s standards. Vector Dubai makes sure that you receive the best possible voice and video communication experience. Vector Dubai offer you wide range of high Definition Video Conferencing Systems that redefines your Video Audio Communication Experience. By trusting us as an Efficient Video Conference System Dealer in Dubai your business can enjoy best service and product available. We deal with top brands in video conferencing systems to fulfill your needs. Video conferencing System Brands include Polycom, Avaya, Cisco, Grandstream, Yealink and Huawei. Video conferencing has really provided great impact to the business world. Aside from breaking the barriers between time and distance, this innovation also cuts the cost of travel needed to meet business partners. Video conference is a tool that increases the profitability of your company. As it saves time and money, it also increases team communications and knowledge collaborations. When it come to professional installation of Video Conferencing System in Dubai you need a Good company you can relay on. We are hear to help your Business. With wide range of solutions and highly skilled engineers we can support your business to achieve this. 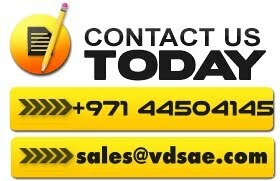 We serve business across UAE that include Dubai, Sharjah, Ajman, Abu Dhabi, Ras Al Kaimah and Fujaira.Call Us today to consult with our experienced sales engineers.